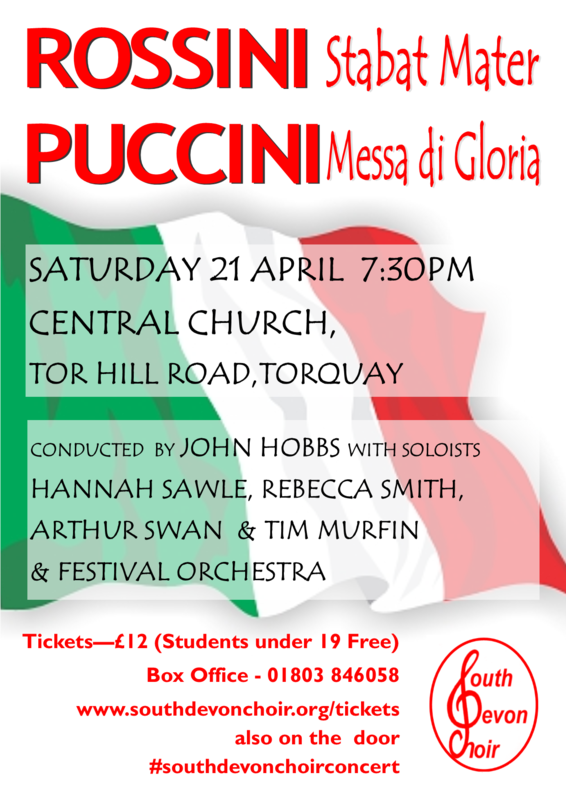 South Devon Choir are joining forces with the Festival Orchestra and fabulous professional soloists, Hannah Sawle, Rebecca Smith, Tim Murfin and Arthur Swan to perform two operatic works. The second, Puccini’s famous Messa di Gloria is verging on playful in places but moves to an ending which is totally peaceful and unforgettable. Even if you are not familiar with the works of Rossini and Puccini you may well discover that you have heard the themes before as music by these famous composers have been heard in many modern films, TV programmes and adverts.